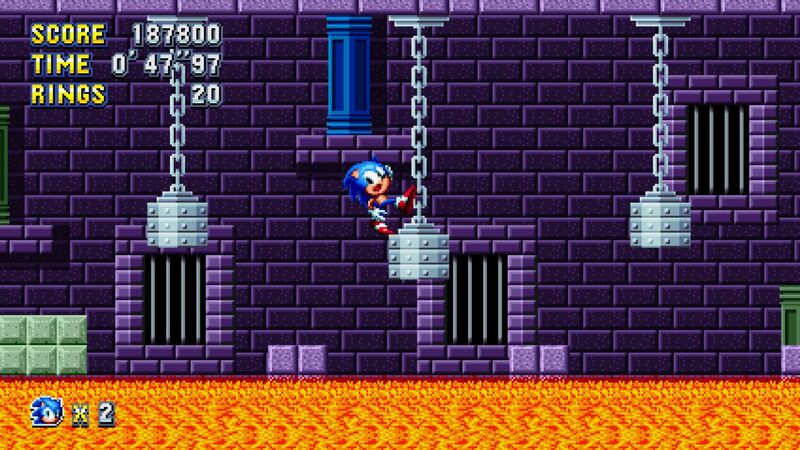 Let’s face it: we’re probably never going to get Taxman and Stealth’s remastered mobile versions of Sonic 1 and 2 on any other platform besides a phone (or tablet, if you want to be pedantic). Sega is currently a mess of different versions of Genesis games, to the point where they’re having two entirely separate teams publish two entirely separate versions of Sonic 1 and Sonic 2 to the Switch (individual releases called “Sega Ages”, handled by M2, and a bundle of emulated Genesis ROMs called “Sega Classics Collection” handled by Sega UK). Adding a third version of those games to that mix probably isn’t in the cards. 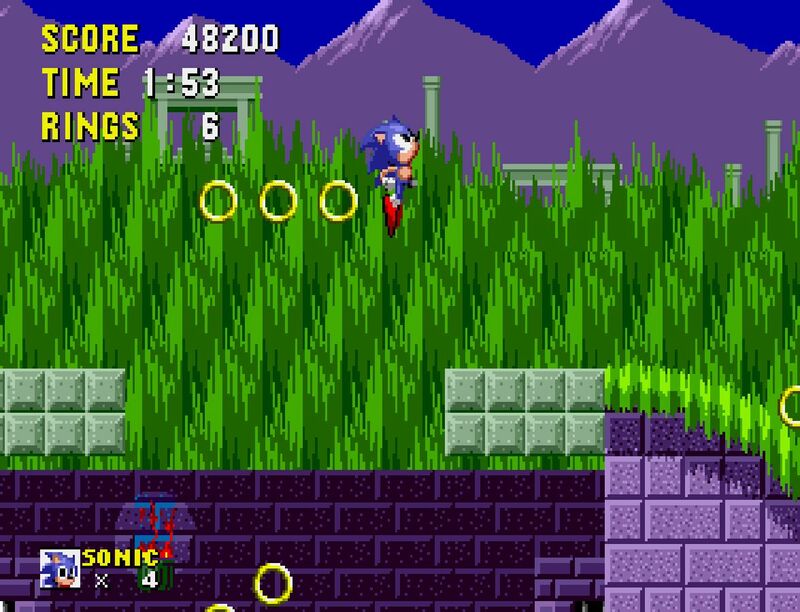 Thus, a project like this is necessary: it ports over the Retro Engine versions of Sonic 1’s levels and makes them work to the best of its ability with Sonic Mania. This enables everything from proper 16:9 widescreen to Mania’s elemental shields and abilities like the Drop Dash. There’s even a slick setup menu for those of you who want a pure classic Sonic 1 experience and those that want to mix in modern features. Not everything is here and working exactly as it should, but it’s honestly close enough for the most part, and given what’s possible with Mania modding, I assume those missing gaps will eventually be filled in with the accurate material some day. 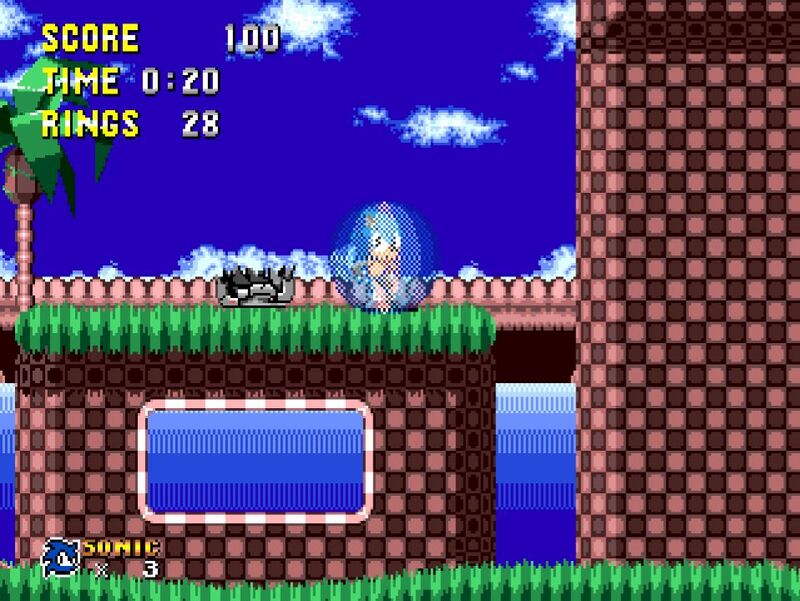 This hack aims to prove that even the 8-bit Sonics can be “as full fledged as any 16-bit hack.” Currently featuring one zone, new music, and a modded HUD, those are bold claims, given there’s already another hack at the SHC that also seems to accomplish some of these goals (Sonic Frenzy, as seen in Round-up #2). That being said, the art on display here is surprisingly detailed for an 8-bit Sonic game. I’ve always thought that both the Master System and Game Gear could produce artwork almost on par with the Genesis Sonics, and this definitely proves that, stretching the limited color palette as far as it’ll go and then some. 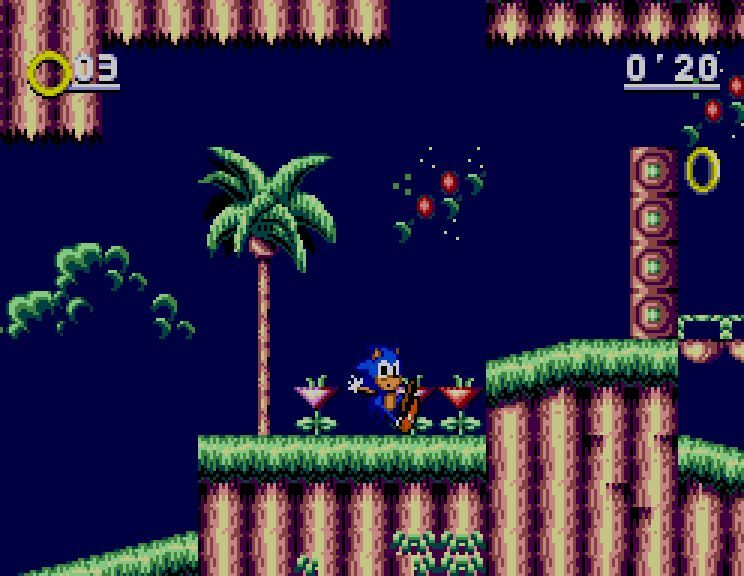 The levels also seem to be impressively sprawling and complex in a way that the original 8-bit Sonic 2 definitely was not. Give it a shot. It’s always interesting to see the early days of a modding scene, especially for a game that isn’t necessarily built to be modded. Watching people feel out what works and what doesn’t, even if you don’t like the end result, is fun in and of itself. This ports Shadow the Hedgehog’s Glyphic Canyon level to Sonic Forces, and while it’s kind of a bare port, it’s nice to at least see a nice, meaty level like this in a game where the levels often felt too short. The rhythm of the stage ends up working out pretty well, too, with areas packed with enemies for the Avatar to smash up, and long stretches of road for Sonic to run through. All it really needs is a fresh coat of paint. Also from Knuxfan84 is Shadow the Hedgehog’s Lava Shelter. More than their Glyphic Canyon level, this looks the most like it fell out of a Playstation 2 game. A lot of that can honestly be blamed on Shadow the Hedgehog itself, which has some of the most bland, uninspired level art out of maybe the entire Sonic franchise. There’s only so much that can be done to make it look pretty, because you’re mainly dealing with big colorless polygon cubes with almost zero detail (or even much in the way of textures). But something like this also not only provides longer levels to sink one’s teeth in to, but levels that cut back on scripting except when strictly necessary. 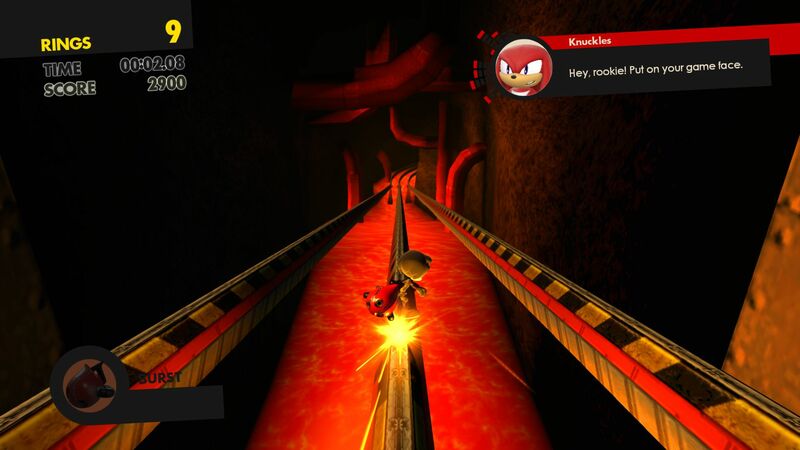 This level may look a little flat, but compared to most of what you get to do in Sonic Forces, it’s an experience worth having. This made a showing at SAGE 2018 this year, and a lot of what I said about it then still applies. There’s some cool, interesting ideas at play here, and while the focus is kind of on revisiting existing Sonic levels, most of them have some kind of unique twist that makes them worth checking out. If nothing else, consider this: Misfits contains a version of Wacky Workbench that I might actually consider “fun.” Sort of, anyway. Let’s not get carried away here — it’s still Wacky Workbench, after all. This is another game that was at SAGE 2018. It’s basically a remix of existing Sonic levels, but this time, with “a focus on level design.” As I noted at SAGE, there’s some pretty creative ideas in here, like utilizing the water effect to create dark areas of Marble Zone with minimal lighting. It’s generally pretty fun, but many of the levels are very dense to the point of occasionally feeling cramped. That’s not necessarily something I think should be changed or anything crazy like that, it’s more just an observation that it can feel kind of claustrophobic. Still, though, I found it fun enough to recommend looking at. This is a pretty short, simple demo of a much larger hack. 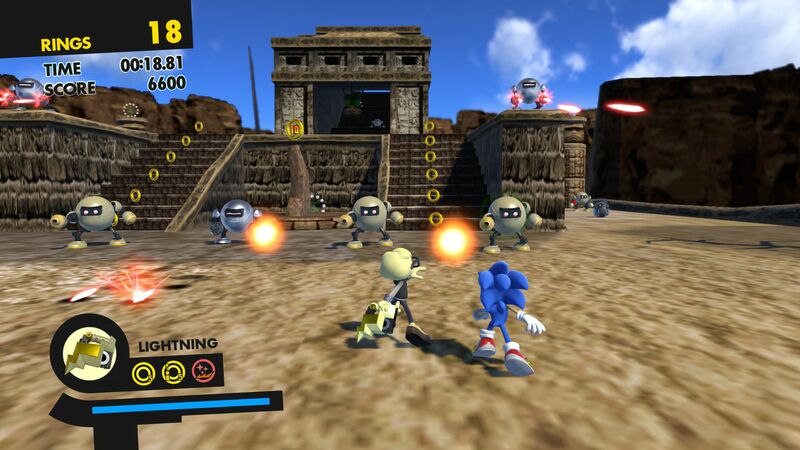 As such, it’s a bit hard for me to talk about it, given it’s just another Green-Hill-style zone. 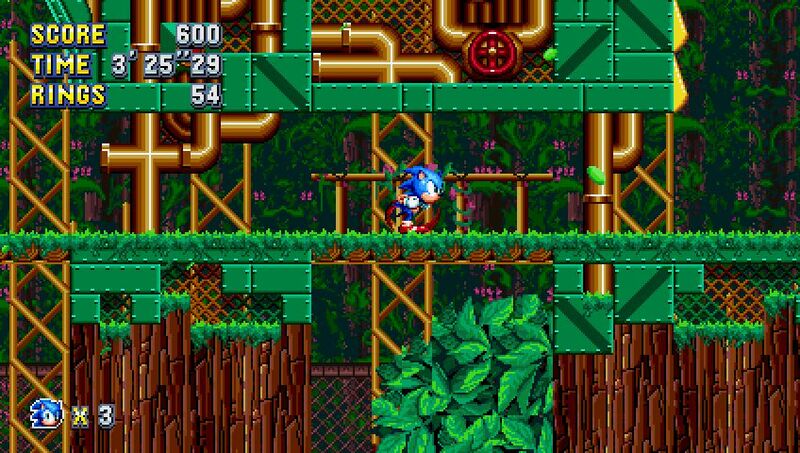 The color choices are pretty good, at least, and the level design is appropriately Sonic-y. I don’t really have many complaints or anything like that, it’s just one of those things that’s right down the middle; a solid set of levels. They are a bit short, however, as you’ll be blowing through most of these stages in under a minute. Makes for a game that comes and goes pretty quickly. Inquiries Underway for US Summer of Sonic?